CNN finished May 2018 as the No. 8 cable network in total day viewers, and posted its second-best May in network history in that category. 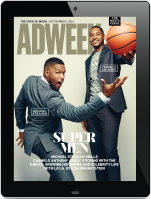 But the network lost a large chunk of its prime time audience relative to 2017, and prime time is the daypart TV news advertisers traditionally look at when determining their ad spend. Compared to its May 2017 performance, CNN was -25 percent in total prime time viewers, -34 percent in the prime time demo, -20 percent in total day viewers and -28 percent in the total day demo. Despite less than spectacular prime time ratings in May – the network failed to capture 900,000 viewers in the daypart and finished third behind MSNBC and Fox – CNN still managed to beat rival MSNBC in the A25-54 demo across a variety of other dayparts: Total day, daytime and on weekends. CNN topped MSNBC for the 47th straight month in the key A25-54 demo across 6 a.m. – 6 a.m. time period, the network’s longest monthly streak since January 2010. Similar to MSNBC, CNN touted its performance in the dayside daypart, which is defined as Monday-Friday 9:30 – 5 p.m. ET. The network delivered its second-best May dayside performance since 2003 among total viewers, and its third best performance in the A25-54 demo. It also defeated MSNBC in the dayside demo for the 51st consecutive month. On the programming front – New Day with Chris Cuomo and Alisyn Camerota (6 a.m. – 9 a.m.) had its second-most-watched May on record. Cuomo hosts the network’s new 9 p.m. show Cuomo Prime Time beginning Monday, June 4. The Lead with Jake Tapper (4 p.m.) had its second-most-watched May on record, and second-best-may on record among adults 25-54. Erin Burnett Outfront (7 p.m.) had its second-highest total viewer delivery, and second-best performance among adults 25-54. CNN’s most-watched show Anderson Cooper 360 (8 p.m.) also had its second-best May delivery on record in both total viewers and adults 25-54. CNN Tonight with Don Lemon (10 p.m.) had its second-largest May audience on record in total viewers and adults 25-54. On Saturdays, CNN Newsroom with Fredricka Whitfield/Ana Cabrera beat MSNBC and Fox News from 11 a.m. -6 p.m. and at 7 p.m. and outperformed MSNBC for 20 out of 24 hours among adults 25-54. On Sundays, season 11 of Anthony Bourdain Parts Unknown averaged more than 1 million total viewers and 461,000 adults 25-54 across the four Sunday premiere episodes this season. The program ranks No. 1 in its time period in the key demo and easily outperformed Fox News and MSNBC by triple digits. Despite tremendous audience levels for the firing of former FBI Director James Comey and the subsequent appointment of Robert Mueller as Special Counsel last May, CNN this year had its second-best May ever (after 2017) in total day among total viewers (657k) and the third-best among adults 25-54 (199k; after 2011 and 2017). The network had its second-best May dayside performance since 2003 among total viewers (701k) and third best in the demo 25-54 (191k). CNN’s morning program New Day and The Lead with Jake Tapper and the network’s weekday primetime programs (Erin Burnett Outfront, AC 360 at 8pm and CNN Tonight) all had their second-best May performance on record in both total viewers and adults 25-54 (after 2017). CNN once again surpassed MSNBC in total day, daytime and on weekends this month among adults 25-54. In total day, CNN has now topped MSNBC for 47 straight months in the key demographic 25-54 (199k vs. 197k), the longest monthly streak since January 2010. In dayside (9am-4pm), CNN dominated MSNBC for a record breaking 51 consecutive months among the coveted demographic adults 25-54 in May (191k vs. 179k). CNN topped MSNBC on weekends, in both total day and prime time among adults 25-54. In total day, CNN averaged 196k vs. MSNBC’s 120k. In weekend prime time, CNN posted 245k and MSNBC followed with 112k. On Saturdays, CNN Newsroom with Fredricka Whitfield/Ana Cabrera topped MSNBC and Fox from 11am-6pm and at 7pm and outperformed MSNBC for 20 out of 24 hours among adults 25-54. On Sundays, CNN was #1 at 3pm, 9pm-midnight and beat MSNBC for 24 out of 24 hours in 25-54. • New Day with Chris Cuomo and Alisyn Camerota (6a-9a) had its second-best May ratings performance on record in total viewers (584k) and among adults 25-54 (186k). 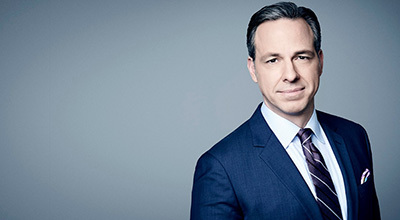 • The Lead with Jake Tapper (4pm) had its second-highest May on record among total viewers (794k) and adults 25-54 (213k). This is also the network’s second-best 4pm time period performance in May since 1996 in both total viewers and adults 25-54. • Erin Burnett Outfront (7pm) had its second-highest total delivery in total viewers (818k) and adults 25-54 (269k). • Anderson Cooper 360 (8pm) also had its second-best May delivery on record in both total viewers (929k) and adults 25-54 (289k). This is also the network’s second-highest May ever in the 8pm time period in both total viewers and adults 25-54. AC 360 is CNN’s top-rated weekday prime time program in total viewers. • CNN Tonight with Don Lemon (10pm) had its second-best May ratings on record in total viewers (858k) and adults 25-54 (294k). CNN Tonight is CNN’s top-rated weekday prime time program among adults 25-54. Other key CNN programs such as Early Start with Christine Romans and Dave Briggs, Inside Politics with John King, Wolf, CNN Newsroom with Brooke Baldwin, Smerconish, State of the Union with Jake Tapper, Fareed Zakaria GPS, Reliable Sources with Brian Stelter and New Day on weekends all easily surpassed MSNBC this month, posting higher demo 25-54 audiences. • Anthony Bourdain Parts Unknown (Season 11) averaged 1.070 million total viewers and 461k among adults 25-54 across the four Sunday premiere episodes this season (4/29-5/20/18). The program ranks #1 in its time period in the key demo and easily outperformed Fox and MSNBC by triple digits among 25-54 (+117%; 213k and +184%; 162k respectively). The show ranks #1 in 25-54 and 18-34 in cable news within its time period across every episode season-to-date. So far in 2018, CNN’s Anthony Bourdain: Parts Unknown is ranking #2 among food and travel non-fiction series in All of Cable, attracting a larger, more affluent, educated, and diverse 25-54 audience to its premieres than similar series on Food Network and Travel Channel. • United Shades of America with W. Kamau Bell (Season 3) registered 845k in total viewers and 344k in 25-54 across the four Sunday premiere episodes this season (4/29-5/20/18). United Shades ranks #1 in cable news in its time period among 25-54 topping both MSNBC (+167%; 129k) and Fox (+41%; 244k). • 1968 Sunday 5/27/18 premiere (9p-10p) averaged 752k in total viewers and 176k in adults 25-54. The premiere was ranked #1 in cable news among 25-54, surpassing Fox (+26%; 140k) and MSNBC (+148%; 71k). Among ALL cable networks, CNN ranked #9 in total day in total viewer delivery, marking the fifth straight month that CNN is a Top 10 cable network. Year-to-date, CNN attracts an audience that is five years younger than Fox News and four years younger than MSNBC in total day. In prime time, CNN is six years younger than both Fox and MSNBC. MSNBC is tracking at its oldest yearly median age on record in total day (tied with 2017). 2018-to-date in total day, CNN averaged a +4.3% lift with Out-of-Home 25-54 viewers (+10k). Among ALL reportable Out-of-Home cable networks, CNN ranked #4 with 25-54 viewers gained (+10k), behind only ESPN (+25k), TNT (+14k) and TBS (+11k).